As a grand dame in the dance I thoroughly enjoy watching dancers come up the dance pike; it’s a special position that long time instructors occupy as they witness students first shimmies and hip lifts, then see them get hooked and become native speakers in the language of belly dance. Each dancer evolves with her unique constellation of stars and planets. A metamorphic transformation takes place and they unfurl into a beautiful butterfly one way or another; some as super stars of the dance, others as quiet torch bearers to the importance this dance has been in their lives and those around them. Today I want to talk about Ruby Beh. My first vivid experience meeting Ruby was at Indigos Emerald Rain Sanctuary Camp held at the end of August 2004 near the Grand Coulee Dam. The topography out there is breath taking. The deep gorge cuts through the earth leaving far reaching cliffs and flat top mesa above the winding river of sausage linked lakes. This annual camp is a three day rustic get together under a really big sky. Everyone cooked their own food in a big camp kitchen. They sleep in barrack style cabins, tents or campers. Large sized classes were held during the days in the sizable lodge until it gets too hot. Then everyone goes for a swim in a near by lake. This event is very casual and earthy and I am drawn to describe it here because there is something about that first encounter that is connected to who Ruby is, that is not so obvious on the surface. An ecologist and a sturdy farm girl. So I have a vision of Ruby in the out back of Gods country in jeans as much as in a Turkish costume. I came with Erik Brown who was teaching drum classes and he and Stephen Elaimy on oud played for dancers at night on Friday and Saturday. A bit of wine and beer was shared, long talks and singing in the moon light. I love to sing and Ruby indulged me. Not that I have a voice, but I have great enthusiasm for singing chants and songs. We were in tune. So I got to know her pretty well that night. We sang, talked about all sorts of lofty ideals, laughed alot, and I liked her. She lived in Bellingham Washington then. At that point in her life she wasn’t so sure what direction she was going to go. She was in School studying Environmental Chemistry at Huxley. 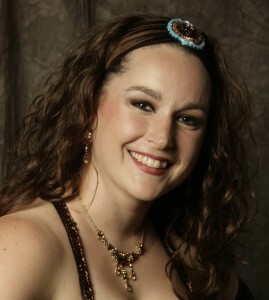 She began belly dancing on the side in 1999. Both Ruby and Indigo started a belly dance club on the campus and began sponsoring events featuring the teachers they were learning from on videos as well as bringing live music ensembles up to the campus to perform. Dahlia Carella Elisa Gamal, Delilah, Brothers of the Balady, Ek Balam, and years later, Ruby would bring House of Tarab, a 6 piece band up to Bellingham all on her own on multiple events. These two young girls were showing the dance off in style, early in their dance experience. I admire that. As the years went by, my self and the members of the bands I worked with recognized this young woman’s lion sized heart and fortitude. She is genuinely supportive to other artists, and passionate about the dance. She is a very self possessed and independent. She has the ability to keenly focus on her goals once she sees them. Her students hold her in great regard. It is no secret she is an exceptionally talented performer. But during the summer of 2004 at Emerald Sanctuary Retreat, Ruby was standing the stillest I would ever see her in regard to belly dancing. She had mostly studied with DVD’s for the past couple years. She was working hard as as a waitress and school was taking precedent. Her first performance to live music had only been a few months earlier with Ek Balam. I will always remember this night as a turning point as she was standing at a major cross roads. I could hear in her restless words she was trying to reconcile her discontent with the direction she was heading in school and the insistent siren’s call of the belly dance inside her, asking her to take a different fork. She was striving to find the courage. Soon after she recalls. She decided she wanted to focus on Turkish style because at the time, it seemed there were only a few dancers in the US doing it compared to Tribal, Modern Egyptian and Fusion. She loved the high energy and she felt it fit her body and personality!!!! She graduated from College in fall of 2005 and took off to Istanbul to study. “Over all I spent 10 weeks in Turkey, 8 of which were spent in Istanbul studying. I went on folk tours, run by Tayyar Akdeniz and Artemis Mourat. Classes were about 7 hours a day. I studied with: Hale Sultan, Semra Su, Artemis, Eva Cernik, Nourhan Sharif, Serpil, Tayyar, Reyhan (roman style), Sema Yildez, Bulent and Sheynaz. She returned enthusiastic to share everything she had learned, so she started teaching weekly classes. She practiced by her self, sometimes for even 8 hours in a day! She really wanted to develop her own style. While many dancers preferred slim cut skirts she went for double layer full skirts. She took more private lessons and workshops, watched lots of performance DVD’s and practiced her finger cymbals religiously. Now she needed 2 things if she was going to make a career out of dance (and this was her intention). First, she needed to be challenged, so she entered her first contest in 2007 called Emerald Rain Competition out side Seattle. Second, she needed to show people she could dance. Contests are one way to be noticed plus document ones accomplishments and prowess. Two new elements entered her dance in 2006. Pilates and Celiacs disease. She discovered she had been fighting a debilitating disease all her life that made her battle weight gain, get tired easily and have skin problems. Celiac disease is a genetic disorder that makes it so that you can’t digest gluten containing grains. She has have sub-clinical celiac disease, meaning she’s allergic to Gliaden which is contained in all gluten containing grains plus quinoa, amaranth and oats. Even a trace amount of this substance she found would through her system way off. Her life style has changed quite a bit because she has to carry particular food she can eat everywhere she goes now. She is much healthier and happier since discovering this problem. I watched her dance evolve another couple notches. Her present stamina is through the roof! The other major ingredient in Ruby’s development was discovering pilates. She became a certified pilates instructor. Pilates revolutionized the way she danced. She found it necessary to keep up her pilates practice in conjunction with the fast and hard Turkish style she was developing. Sometimes Ruby moves faster than lightning, and this takes incredible core strength. When she got back back from Turkey she went to Double Crown Belly Dance contest where she won the “Gypsy” category and made it to finals in the Pro category! In spring of 2008 she returned to Emerald Rain and won the Professional category followed shortly after with winning the East Coast Belly Dance Classic and then back to Belly Dancer USA again where she placed 1st runner up. Last year Ruby won Belly Dancer USA 2009. Her story does not surprise me knowing what I have observed about her in the past 7 years. Delilah: “What do you want to achieve in the next 5 years”. Ruby: I want to travel everywhere and share what I’ve developed with dancers all over the world. I want to keep fine tuning my styling and push to learn more about Turkish culture as well as American Classic Belly Dance movement history. I have a few ideas for more DVD’s that I’d love to do and I intend to spend a lot more time in Turkey. Flawless Floorwork, by Cheekygirls Productions. Totally Turkish, by Cheekygirls Productions. In a few weeks she goes to compete in the Belly Dancer of the World in Germany.